Prepare for traffic delays and road closures around Lake Tahoe as the Amgen Break Away From Heart Disease Women's race comes to town, May 11 and 12. Some of the most elite female cyclists from the United States and abroad will be making their way to Lake Tahoe, May 11 and 12, to compete in the Amgen Break Away From Heart Disease Women’s Race. Residents are encouraged to attend the free event, but also prepare to take alternate routes. The women’s race will include 16 teams and 120 cyclists. The first stage of the tour covers a total of 72.7 miles and makes a loop all the way around the lake. It will begin at approximately 10:40 a.m. and conclude at approximately 2 p.m. Stage one both begins and ends at the Heavenly California Base Lodge, 3860 Saddle Road in South Lake Tahoe. For those wanting to be present for the tour’s start, it is recommended to attend early in order to find a viewing location. 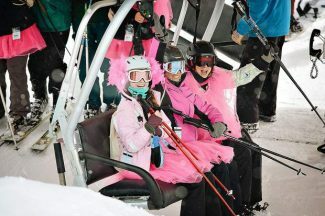 Also at Heavenly California Base, there will be a “lifestyle festival” that begins and 9 a.m. The festival will feature exhibitors, family activities, cancer and cardiovascular awareness education, and food. The Strider Race, for children ages 2 to 5, will be featured at the festival. Each participant will get to cross the same finish line as the tour cyclists as well as receive a goodie bag and Strider medal. Pioneer Trail and Keller Road intersection: The tour is expected to roll through this area at 10:42 a.m. This could be good location for spectators who may not find a spot at the starting line. 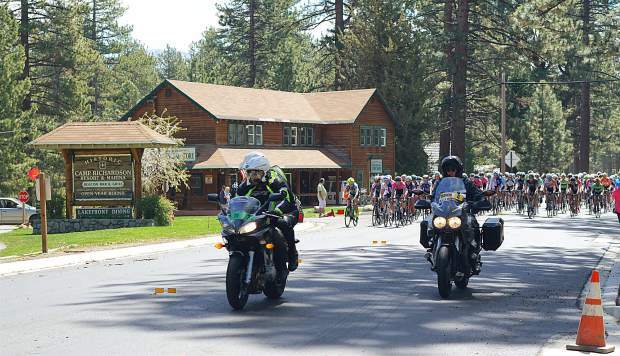 Al Tahoe Boulevard and U.S. 50 intersection: The tour will be coming through this area at 10:52 a.m.
Camp Richardson: If you can’t make it first thing in the morning, head down to Camp Richardson by 11 a.m. to see which team is in the lead. U.S. 50 and Kingsbury Grade intersection: This will be close to the finish so stop by at around 1:50 p.m. to see who is leading the pack at the homestretch. 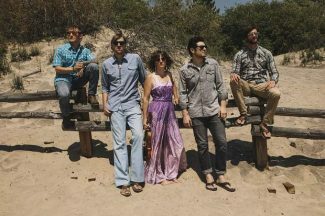 Stage two will start at approximately 10:25 a.m. and concludes at approximately 1:50 p.m. Like stage one, it’s best to get to Heavenly California Base early — the lifestyle festival beginning at 9 a.m. will be going on for stage two. Pioneer Trail and Ski Run Boulevard: Stop by this location at around by 10:30 a.m. to catch a glimpse of the women cruise by in the morning leg of the race. California Route 89 and Grass Lake: Get here by 11 a.m. and you can admire the lake and see which team is in the lead. U.S. 50 and Pioneer Trail: This is a good spot to be at by 1:49 p.m. If you can find a spot close to Heavenly, this might be your best option. Event coordinators expect some moderate traffic delays on the days of the tour, but planning ahead should leave you in good shape. Thursday, May 11, expect delays between 10:30 a.m. to 2:15 p.m. and Friday, May 12, 10:15 a.m. to 2:15 p.m. are the times you want to watch for delays. It’s advised to allow yourself 30 minutes on each side of an intersection. If traveling via Spooner Summit to Highway 28 on Thursday, May 11, and to Kingsbury Grade, Friday, May 12, you will need to allow an extra hour for travel. On May 11, Highway 28 to Incline Village will be closed from 12:30 to 1:30 p.m. Through traffic will be held at Spooner Summit at 1 p.m.
On May 12, through traffic at Kingsbury Grade will be held at 12:30 p.m.
Volunteer opportunities may still be available. Register online at http://www.amgentourofcalifornia.com. Volunteers must be at least 18, or accompanied by an adult.